« Unable To Update Flash Player In Firefox? As everyone in the industry knows, Nielsen/NetRatings no longer relies on page views instead preferring total time spent. This makes sense since ajax applications can have 1 page view, but keep a user for an hour. Not to mention other things like video or Flash. The use of time spent is likely much more accurate. In my mind “time spent” is time actually spent on the site (I’m a literal guy). This of course raises an interesting question. How do tabs influence this metric? Take the following situation as an example. A user visits a home page, and opens a link in a new tab. Then finds another link and opens it in a new [background] tab. That’s 3 tabs in 1 visit (assume visit to be 30 minutes). If we assume total time on the site is time between the first and last page, we potentially undercount the total time on sites that list information (for example Digg). The total time to make those clicks could be < 10 seconds, but the time spent reading those two page alone might be > 10 minutes. Many tab power-users from what I’ve read around the web over the years essentially use them as a way to bookmark their “to read” list (including myself). It also undercounts sites like Gmail which are ajax based (1 page) but can be used for several minutes. This raises the question: are sites that are heavily used by Firefox, Safari, Opera and IE7 site underestimated or overestimated because of the way users browse the site? How do you accurately tell how long a view is when a user can have multiple tabs? Another example is someone who keeps their webmail open in a tab all afternoon for easy access. They may only check it 1x measuring no more than 1 minute in actual attention. But it’s open for 5 hrs. What is the real time on the page? You can measure my interaction (opening/closing mail). But what if I’m reading an email for an hour (it’s a really complicated one)? How does that compare to just leaving it open in the background? This is really no different than using new windows, the difference being that most people seem to have found windows to be annoyance, while tabs are a “feature”. The increase in usage and popularity in a time where visit length matters raises an interesting question. How do you measure it? One assumption is that it’s just a small percentage of the population, which is likely true. The problem with this assumption is that it’s one subject to change as the browserscape matures and users learn about new features. 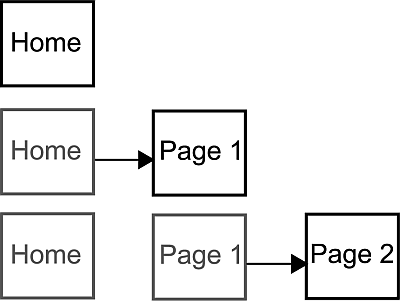 Another assumption is to just account for all time a page is open, even if it’s not visible. The downside I see here is that it’s pretty inaccurate. As a content producer I’d like to know if my content is used, or just loaded on a users computer. If I were an advertiser I’d care even more. I’m not sure how analytics firms approach this. In a sense it’s similar to the “hotel problem“. Perhaps just something you need to decide upon and live with. Well, reading a long and absorbing email is just as bad as not looking at the page at all, from an advertisers POV. This isn’t a new problem caused by tabs. Tabs just mean that there’s only one “browser” window open. For years people have been able to run more than one browser at a time. Its just that now it is “Open in New Tab” instead of “Open in New Window”. If a pop-up opens in a new tab, its still a pop-up. alanjstr: I mentioned that in the 3rd to last paragraph. The problem with tabs is that unlike new windows, they are viewed as a “feature” rather than an “annoyance”.